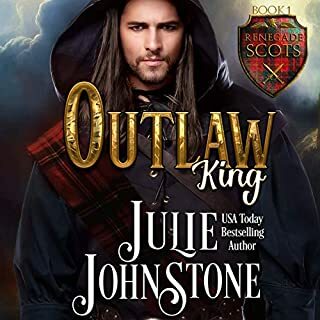 Gwyneth Carswell, an English lady banished by her father to the harsh Scottish Highlands, wants nothing more than to take her young son away from the violence of two fighting clans - her own distant kin, the MacIrwins, and their enemies, the MacGraths. 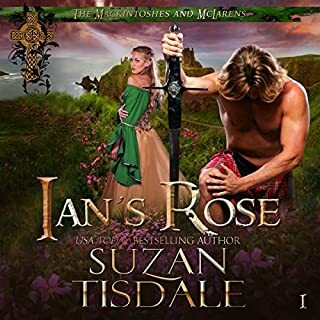 She risks everything to rescue the fierce MacGrath warrior from the battlefield where he's left for dead by her clan. She only knows she is inexplicably drawn to him and he wants peace as she does. When her clan learns of her betrayal, they seek vengeance. Dare she trust the enemy more than her own family? Laird Alasdair MacGrath is driven to end two-hundred years of feuding with the MacIrwins. But by taking in and protecting Lady Gwyneth and her son, he provokes more attacks from his mortal enemy. As the danger and conflict surrounding them escalate, Alasdair and Gwyneth discover an explosive passion neither of them expected. With the arrival of a powerful man from her past, a horrible decision confronts her - give up her son or the man she loves. Twelfth century England: Two men vie for the throne: King Stephen the usurper and young Duke Henry the rightful heir. Amid civil and private wars, alliances are forged, loyalties are betrayed, families are divided, and marriages are made. 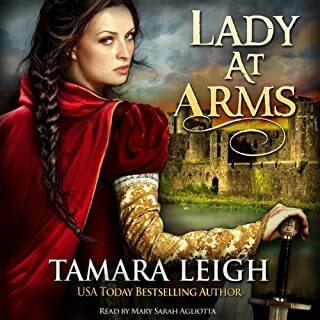 For four years, Lady Annyn Bretanne has trained at arms with one end in mind - to avenge her brother's murder as God has not deemed it worthy to do. Disguised as a squire, she sets off to exact revenge on a man known only by his surname, Wulfrith. England, 1333. The chink in Baron Boursier's armor is his fondness for a lovely face. When it costs him half his sight and brands him as one who abuses women, he vows to never again be "blinded" by beauty. Thus, given the choice between forfeiting his lands and wedding one of his enemies to end their feud, he chooses as his betrothed the lady said to be plain of face, rejecting the lady rumored to be most fair. Lizanne Balmaine has spent years honing her skills at arms, determined she will never again be at the mercy of any man. When she comes face to face with the one who stole her future, she seizes the opportunity to exact revenge. Soon he is her prisoner, at her mercy. But something is different about him, something that makes her question her purpose. Is it possible a man can be so changed? More, can she right the wrong that could lay ruin to her family? Sleep disorders specialist Kennedy Plain has been diagnosed with a fatal brain tumor. 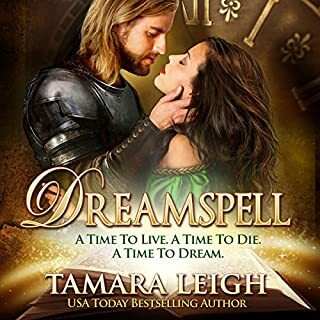 When her research subject dies after trying to convince her he has achieved dream-induced time travel and her study is shelved, she enlists herself as a subject to complete her research. Lady Juliana Kinthorpe is no longer the fanciful young woman who embraced the notions of romance and chivalry nurtured at Queen Eleanor's Court of Love. Wed to a desperately bitter man, she is forced to steal from the knight who betrayed her husband during the Holy Crusade. But even to save her sister, can she do the unthinkable? That which will cost her dignity, her heart, and perhaps her soul? The Wulfriths. It all began with a woman. A battle. A crown. The conqueror. The conquered. Medieval England - forever changed by the Battle of Hastings. And the rise of the formidable Wulfriths. Chevalier Cyr D’Argent convinced himself he joined Duke William’s invasion of England to reform its church and place its rightful king on the throne. But after a decisive Norman victory, the truth of his quest is revealed when his search for fallen kin leads to a Saxon grieving a boy slain by one of his own. Certain the defiant young woman will become the pick of the plunder, he forces her off the battlefield. Following a pilgrimage of penance, Cyr returns to England to seek his missing brother and claim the barony awarded by King William who stipulates he end the rebellion on his lands. He agrees, only to discover the woman he cannot forget is among those he must vanquish - and may even be their leader. On a fateful autumn day in 1066, Aelfled of Wulfen’s mistake leads to the death of her lady’s son. Unforgivable - as is the silver-haired warrior who tempts her to put a blade in his back then does the unthinkable in protecting her from his fellow Normans. 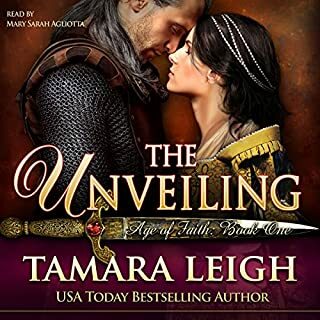 Now under the usurper’s rule, faith crippled by her people’s suffering, she finds her sanctuary threatened when she becomes a pawn of the rebel leader - and destroyed when betrayal delivers her into the hands of the man who haunts her dreams. As the fires of unrest scorch lives and lands, Aelfled struggles to shield her heart as well as her people. But perhaps love can unite Normans and Saxons. Perhaps she is meant to be here...with him...for such a time as this. Thus begins the Age of Conquest series revealing the origins of the Wulfriths of the best-selling Age of Faith series. Look out for Fearless: Book 2 in 2019. As with her previous books I was captivated beginning to end. Love of the Lord. 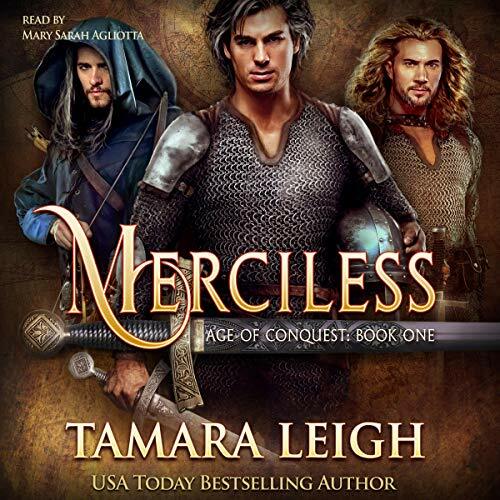 I usually love tamera Leigh books but this story was hard for me to listen to. It started out interesting on the battlefield but if you are expecting the degree of depth of story and character development the Age of Faith stories had this is not it. I was extremely disappointed. I struggled with the first few chapters, learning all of the complicated french names of family members and other characters. But as usual, with Tamara's books, the story was worth working through all of that! can't wait for the next book in this series. 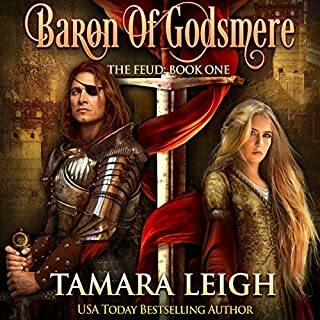 I have collected many of Tamara Leigh’s books and I love these tales. And I love the connection between many of her books even though each one stands alone well. This is one of the few I have not liked. It has some good and sweet parts, but for some reason I had difficulty keeping the characters and details straight. It somehow had too many details of the times and the skirmishes between various groups of people. 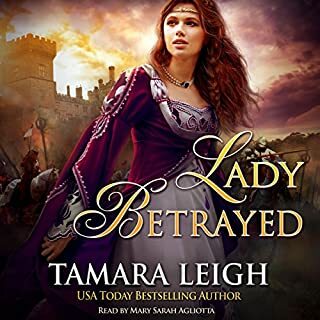 But I went on and chose another of her books Lady Betrayed and loved it.